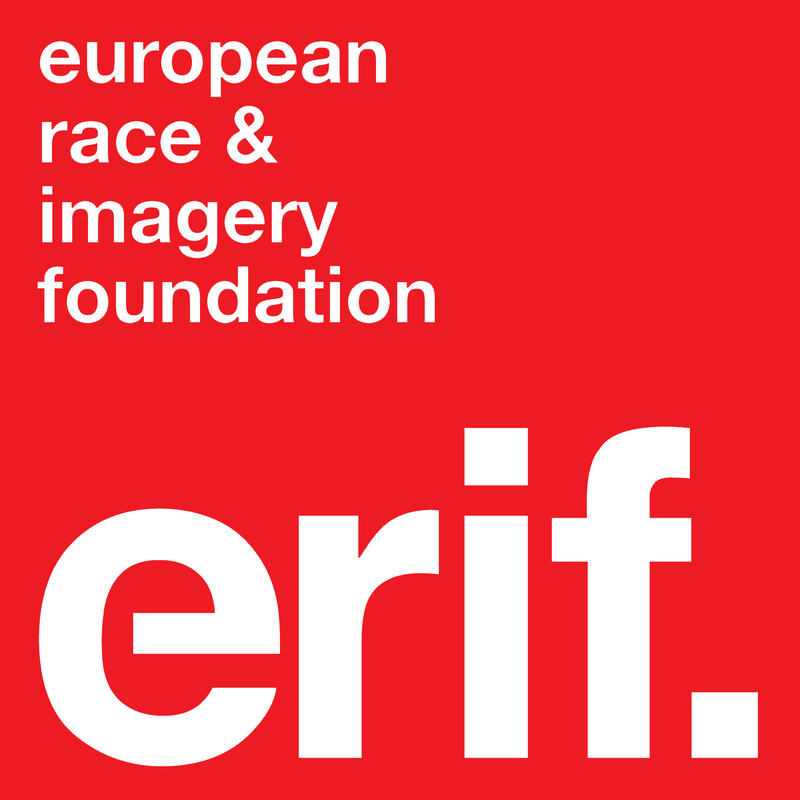 In July 2013, the founding members of the European Race and Imagery Foundation (ERIF) came together with the shared aim of analysing and combating contemporary negative representations of people of colour across Europe. Namely we are interested in how European understandings of home, belonging, space, citizenship and identity are racialised. We are positioned specifically in a bid to depart from US-centric understandings of race and racism, which do not always necessarily relate to the European experience. Subsequently, the foundation aims to organize various annual projects as well as contribute to existing projects by other anti-racism organisations. Members of this foundation are affiliated with international universities, cultural organisations, activist groups and art collectives. We are located across the continent: in the UK, the Netherlands and Switzerland, although our wider collaborative network spans much further. As members of this single foundation, we are creating a wider, interdisciplinary network of campaigners and thinkers, while combining our talents, experience and ideas to bring about safe, accessible and meaningful platforms. We believe strongly in working in solidarity with fellow European anti-racism organisations (such as Collectif Afro Swiss, InterNational Anti-Racism Group and Roma Jam Session Art Kollektiv to name a few) towards achieving a collective liberation. To us, this means bringing an end to racism via our specific focus on imagery, as well as other oppressive socio-political structures such as, patriarchy, state sanctioned violence, heteronormative world-views, exploitation of natural resources, ableism and capitalism. Ultimately, we are working towards a new world-order, which emphasises a poetics of difference, where bodies and citizens marked by racial difference can have complex identities and lives that matter equally. This will entail a cooperative, mutually supportive and inclusive societal structure as well as ongoing and active quests for social justice and democratic ways to live together. In other words, radical equal participation in society for everyone. Furthermore, our vision demands a radical review of conceptualising “Europeaness” by critiquing dominant narratives of belonging, and the analysis of imagery that contributes to the visual culture(s) that communicate what Europe is. To analyse existing and historical manifestations of literal and figurative forms of racialised imagery of people of colour across Europe. This includes considering how policy strategies that profile and target communities of colour are affected by racialised imagery. In this aim, we should contribute towards a notion of critical literacy and analyses of visual, material and audio culture(s), to re-imagine and challenge concepts of belonging, borders, migration and nativism. To be a platform that brings together individuals and/or groups negatively affected by racist representations of people of colour and to inspire them to make concerted attempts to combat racism racist representations of people of colour. We seek to connect and favor exchanges amongst artists, scholars, students and activists (of colour) across Europe. It should be a constant objective to legitimise voices of people and communities of colour as the experts on how to combat racism, by the valorisation and validation of alternative and empowering imagery. To create safe and secure platforms of information and facilitation for the general public to join, learn, grow and emancipate around the issues of resistance to racialised imagery. We should aim to provide multi-dimensional spaces for (self)care, love, healing, listening and learning from histories of resistance. ERIF should make its content accessible to the general public to ensure that it reaches as many people as possible. The content should be communicated in such that academic or jargon-based language and terminologies are avoided in order to be inclusive to non-academic groups and individuals. Presentations (both off and online) of various work done challenging racist imagery and performances of racial stereotypes. For example, the screening of short films and documentaries, conferences, art exhibitions, symposiums and workshops. Promotion of activist campaigns, to spread the word of anti-racism strategies in the public domain, to contribute to the creation of a public and accessible “archives of resistance”. To widely spread the content of activist, scholarly and artistic endeavours collected at ERIF events via the ERIF website/blog, social media platforms, livestreaming, podcasting, vlogging and zines. Create and distribute tool-kits and educational resources that will be accessible to campaigners, scholars and the general public, who do not always have access to anti-oppression materials and resources. Follow, research and publish findings on both racialised imagery and its connection to power inequalities, and the resistance movements of people of colour and their progress. Currently, we do this with an annual study following the use of the Zwarte Piet image in the Dutch festival Sinterklaas. ERIF intends to expand this activity with a report on racial profiling of people of colour in transit. Circulate petitions and promote demonstrations against racist imagery by fellow organisations and campaigners. The traditionally considered continent of Europe constitutes not a predefined space of some 51 independent states, but a battle-ground. Indeed, we challenge predominant notions of who belongs in Europe as this is usually based on the idea of white nativism, which thereby hinders the true acceptance of complex identities. When thinking of Europe we also consider the relevance of a broader global Europe, which includes ex-colonial territories and their populations, because the latter have have strong links to communities of colour within Europe and their own resistance and liberation movements provide a strong foundation of knowledge and inspiration for European non-white campaigners. The histories of so called “extra-European” territories are inextricably linked to the European continent. This is due to the movement of people, as well as to , the continued (neo-)colonial relationship between many European states and these territories. This link is, moreover, due to the vast wealth and natural resources that are continually provided in a one-way relationship to Europe. We also consider the presence and role of the states and territories that are included in the EU Neighbourhood Policy, which is used by the EU to deter, stop people of color and in many cases let them die. We consider imagery to be representations that explicitly and implicitly associate racial difference with expectations regarding ways of being and acting. In this case to communicate what Europe is, who should belong here and who does not. Imagery can be employed to either renew or (re)produce conventions of racist representation and it can justify violence and the disciplining of people of color. However, imagery can also be employed to oppose racism and renew traditions of resistance against racism. In this case, imagery provides space to breathe and heal, and open pathways to imagine more just futures. Material cultures, such as toys, built environments, statues, landscapes, artwork, design, etc.